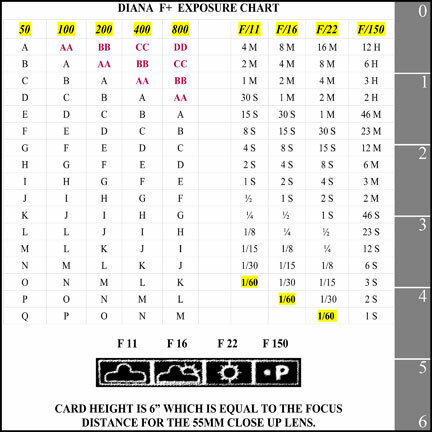 Diana F+ Exposure Guide AND We’re Over 100,000! First I’d like to announce that as of today- November 19, 2008- the Figital Revolution has had over 100,000 hits… Hot damn! Viva la revolution!!!! Just add it to your cart (it really is free don’t worry) and checkout and you will receive an email with download instructions within a few minutes. Here it is February 2018, and I’m still referring people to this chart. Who’d have thunk it?